The angle you’ve been waiting for! The Austin Corner is an essential part of the Austin Sectional Collection. Versatile, contemporary and ample; the Austin collection is made up of 4 key pieces – Center, Right Arm, Left Arm and the Corner. All beautiful pieces that fit into any space that requires the addition of comfort and elegance! Located on each individual pieces are clips to secure your setup. 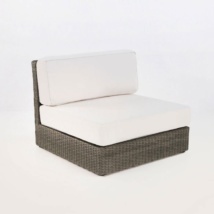 Also available in the Austin range are a fixed Sofa, Loveseat, Club Chair and Coffee Table. 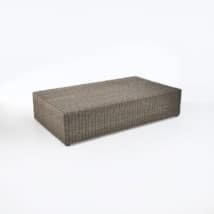 The Austin Collection is our most substantial wicker collection to date; simple, sharp, modern lines are offset by a plush Sunbrella® cushion on the base and back. Place the Corner in a small corner for a comfortable hideaway you can curl up with a book or laze away a Sunday morning. 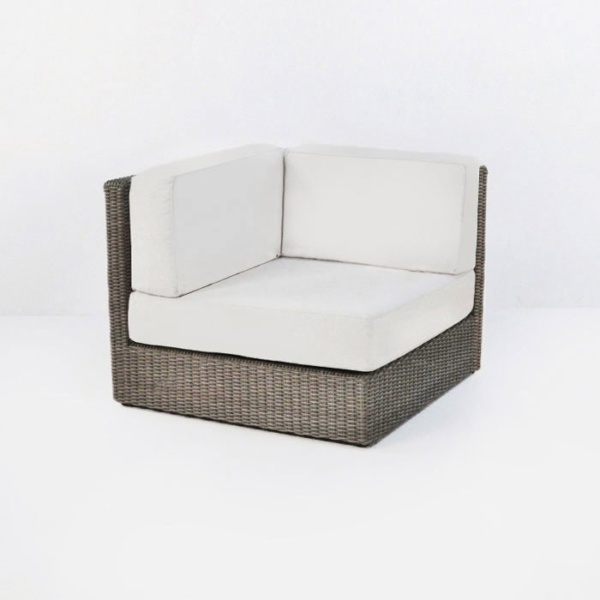 How about two Corners side by side for a comfortable loveseat tucked away in your lush garden?! Perhaps you have a spacious verandah with a gorgeous view you want to enjoy? Start with an Austin Corner at either end of your space and fill with Austin Centers for a grand sofa fit for wonderful gatherings and reclining on long, hot days. Complete the look with an Austin Coffee Table or two and place an Ascot Cantilever at one side in the same shade of Sunbrella® for the ultimate spot for day and night entertaining! The Austin range is made from the finest in outdoor materials; the frame is aluminum, powder coated to protect against the elements. 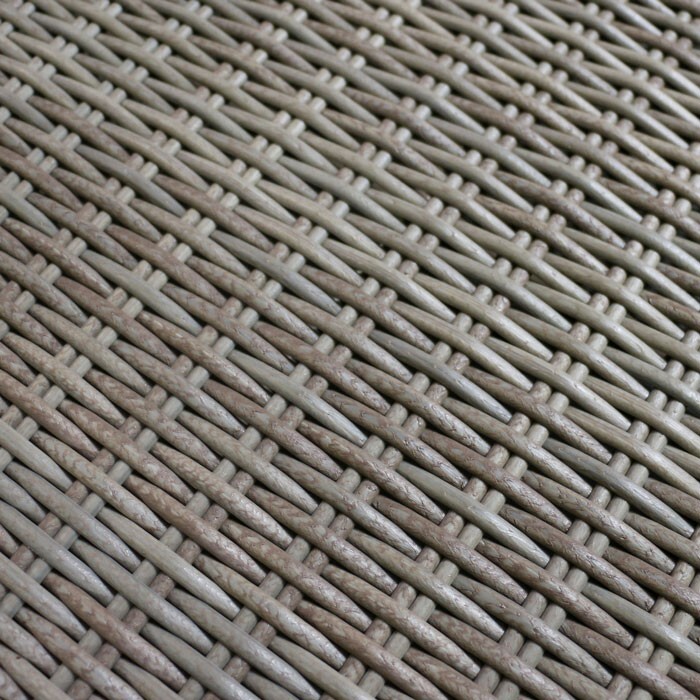 We are proud to carry all weather Viro® wicker; an award winning through-dyed polyethylene synthetic product which has been UV treated to withstand harsh weathers. The final flourish are the cushy Sunbrella® cushions, a top product that wont discolor or fade, and is extremely easy to clean! Sunbrella® cushions are FREE with your purchase.